A Poole student has been awarded funding to train for a career working on luxury superyachts. Ashley Redwood, 19 is currently on phase one of the Superyacht Cadetship. Ashley began his training in October after being selected for a coveted bursary by Seafarers UK and topped up by the Milo Hanlon Bursary. As a real alternative to university, the course combines study sessions and sea phase training at UKSA, with work as deckhands on superyachts. The course also includes a Foundation Degree in Operational Yacht Science delivered in conjunction with Falmouth Marine School and validated by the University of Plymouth. After spending three years working on tour boats in Poole Harbour, Ashley now has his sights set on superyachts. His friend James O’Callaghan is a cadet on the Superyacht Cadetship and everything he heard about the course made him want to set sail in that direction too. He went to an open day at UKSA and what he found confirmed his thoughts. 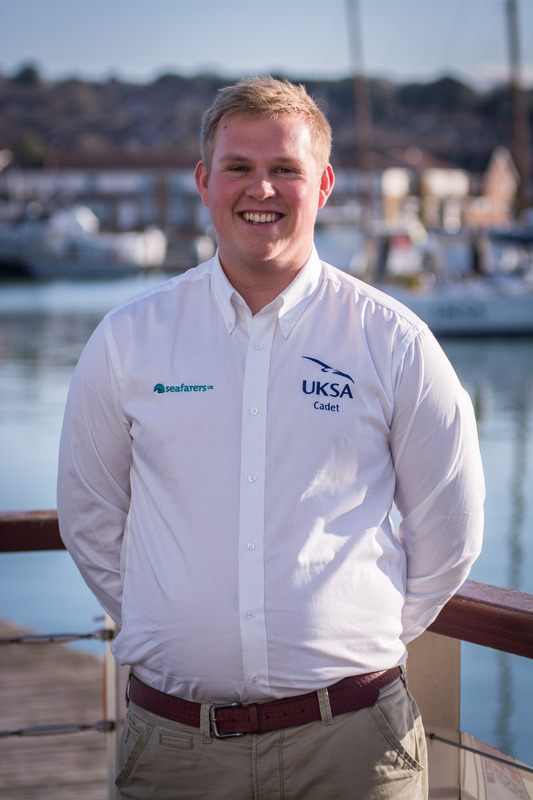 As part of his cadetship, Ashley will do an FdSc foundation degree in Operational Yacht Science at Falmouth Marine School. In the four years of the course, Ashley will combine studying, sea phases and work within the superyacht industry. The cadetship is a viable option for those considering vocational training over the traditional university career path. With the Foundation Degree recently being granted full-time status, it can now be applied for through UCAS, plus successful 2014 cadets will be able to drawn down on student loans to assist them – as well as taking advantage of all the other associated benefits that full-time students enjoy. There is funding available for the October 2015 intake. Applicants should be 18-25 years old and will have to go through a selection process. Priority is given to those who display a clear welfare need and/or have a proven family connection to the maritime industry. Students should have obtained at least 120 UCAS points (or the equivalent in work experience) and have high grade passes in GCSE Maths and English. They must be seeking a genuine alternative to university and also demonstrate a keen desire for a long term career in the superyacht industry – and whilst previous water sports and/or yachting experience is highly desirable, it is not essential. For those not accepted onto their chosen bursary, there is the option of a Career Development Loan worth up to £10,000 – and the rest contributed by the student.